FAQs / Can I set non-US date format in EZRentOut? 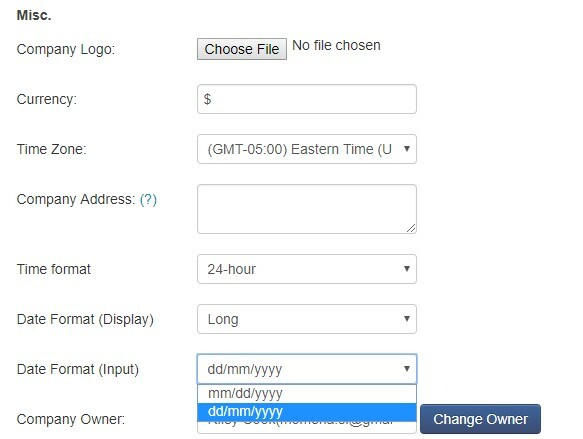 By default, EZRentOut uses the US date format throughout the app. However, non-US companies can change this format as per their standard. To do this, go to Settings –> Company Profile –> Misc. Here, click on the ‘Date Format (Input)’ dropdown menu and choose “dd/mm/yyyy” to set to non-US date format. Don’t forget to save this change! Scroll down to the Save Settings button after you’ve made the selection.